Standard Chartered almost doubled its profit in the first three months of the year after a sharp fall in losses from bad loans, raising the prospect of the Asia-focused bank resuming dividend payments. StanChart said it made a pre-tax profit of $1 billion, up from $589 million in the same period a year ago. The bank booked a $198 million pound loan impairment charge, much less than the roughly $500 million expected by analysts. StanChart is attempting to show investors it can return to growth after a sweeping restructuring under Chief Executive Bill Winters succeeded in cutting costs but at the expense of much lower revenues. "This is an encouraging first quarter but we are not getting carried away," Chief Financial Officer Andy Halford told reporters on a conference call. StanChart's shares rose as much as 4 percent in London before settling up 3 percent by 0915 GMT on Wednesday following the results announcement, the best performing stock in the European STOXX index of major bank shares. The bank's shares have risen 13 percent in the year to date, with analysts saying it is among the best positioned of its peers to benefit from increasing U.S. interest rates and stronger trade flows in Asia, where it has most of its business. 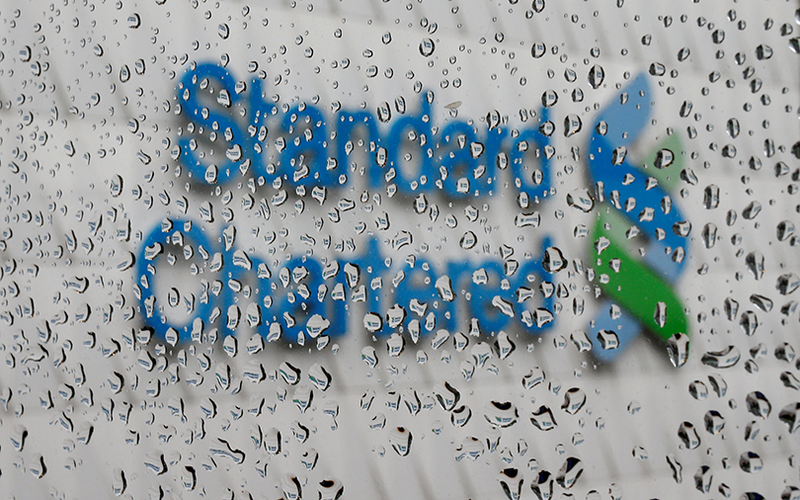 Standard Chartered's core capital ratio rose to 13.8 percent, making StanChart one of the best-capitalised major Europe-based banks and increasing the prospects of a return to dividend paying after it dropped payouts for 2016 due to restructuring costs. CFO Halford said the bank's board is aware of the appetite from shareholders for a resumption in dividends, but said the bank must first ensure its recovery can be sustained and that StanChart can meet changing regulatory capital demands. "Shareholders want confidence when dividends resume that there will be an enduring flow," he told reporters. Analysts sounded a note of caution following the results, noting that while the bank's falling bad loan costs were impressive it is still struggling to grow its revenues. "Revenue performance was flattered by lower quality sources," said Joseph Dickerson, analyst at Jefferies in London. The bulk of the bank's improved revenues in the first quarter came from 'asset-liability management'- fine-tuning of the bank's debts and investments rather than sustainable fresh income from customers.